MEXICO. 2 Reales, ND (ca. 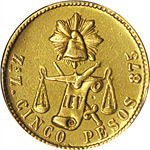 1542-55), Assayer O. Mexico City Mint. Carlos & Johanna. NGC EF-40. MEXICO. Real, ND (1542-55) L-Mo. Mexico City Mint. Carlos and Johanna. PCGS EF-45 Gold Shield. MEXICO. 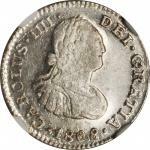 8 Reales, 1751-Mo MF. Ferdinand VI. PCGS Genuine--Tooled, AU Details Gold Shield. MEXICO. 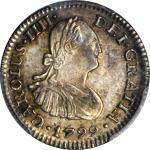 8 Reales, 1754-Mo MF. Ferdinand VI. NGC MS-62. MEXICO. 2 Reales, 1750-Mo M. Mexico City Mint. Ferdinand VI (1746-59). NGC AU-55. MEXICO. 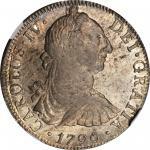 8 Reales, 1761-Mo MM. 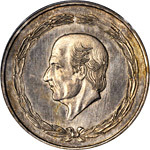 Charles III (1759-88). NGC AU-58. MEXICO. 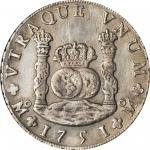 8 Reales, 1763-Mo MM. Charles III (1759-88). NGC VF Details--Stained, Scratches. MEXICO. 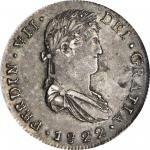 8 Reales, 1778-Mo FF. Charles III. PCGS Genuine--Tooled, AU Details Gold Shield. MEXICO. 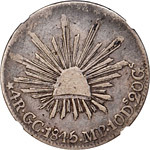 8 Reales, 1790-Mo FM. Mexico City Mint. Charles IV (1788-1808). NGC AU-50. MEXICO. 2 Reales, 1800-Mo FM. Mexico City Mint. Charles IV (1788-1808). PCGS MS-63 Gold Shield. MEXICO. Real, 1799-Mo FM. Mexico City. Charles IV. PCGS MS-64 Gold Shield. MEXICO. 1/2 Real, 1808-Mo TH. Mexico City Mint. Charles IV (1788-1808). NGC MS-62. MEXICO. 1/2 Real, 1799-Mo FM. Mexico City Mint. Charles IV. PCGS MS-65 Gold Shield. MEXICO. 1/2 Real, 1821-Mo JJ. Mexico City Mint. Ferdinand VII. PCGS MS-64 Gold Shield. MEXICO. War of Independence. Zacatecas. 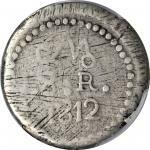 8 Reales, 1822-Zs RG. PCGS AU-55 Gold Shield. MEXICO. War of Independence. National Congress. 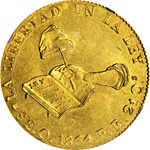 2 Reales, 1814/3. NGC Fine Details--Scratches. MEXICO. War of Independence. Oaxaca. 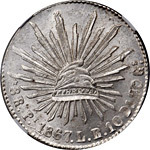 Silver 8 Reales, 1812. PCGS FINE-15 Gold Shield.